In this lesson you will learn a second way of forming the aorist. Most verbs use the forms you learned in the last lesson, but many others use this second form. There is no difference in meaning between the two ways of forming the aorist. You will learn a set of verb endings that are used for both the second aorist and the imperfect tense. There is no difference between the functions of the first and second aorist. They are simply two different ways of forming the same tense. Some verbs use one way, others use the other. This kind of difference is typical of many languages. In English most verbs have past tense forms that end with –ed such as closed, helped, and challenged. Many verbs, however, do not form their past tense in this way. The past tense form of teach is not teached, but taught. The past of go is not goed but went. The personal endings for the Greek second aorist are attached to the second aorist stem, and that stem can vary significantly from the one used in the present tense of the same verb. The second aorist stem is usually, but not always, shorter than the present stem. Compare λαμβάνω, for example, to its aorist form, ἔλαβον. The aorist stem is –λαβ- (discovered by removing the augment and the ending), whereas the present stem is λαμβαν-. 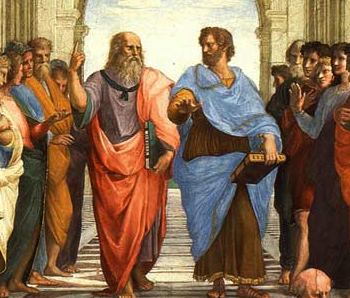 The aorist ερον and present εὑρίσκω reveal a similar relationship. The second aorist stem of ἔβαλον is -βαλ-, whereas the present stem is βαλλ-. The second aorist stem of ἔγνων is –γνο-, whereas the present stem is γινωσκ-. Another fairly common difference between a second aorist stem and the same verb’s present stem is that the present stem has a long stem vowel while the aorist does not. For example, the aorist root of ἔλιπον (-λιπ-) is lengthened to λειπ- in the present tense (λείπω). Whenever you encounter a second aorist stem in the vocabulary list, you must always compare it to the present stem (lexical form). You will need to recognize both stems in order to read Greek effectively. Take this brief quiz to see how well you can distinguish between present and second aorist verb forms. Both the first and second aorist have an augment. They also have similar endings, but the second aorist uses ο or ε as the connecting letter (thematic vowel) rather than the α used in the first aorist forms. The second aorist does not add the sigma (σ) that you saw in the first aorist. As you saw in the lesson on the first aorist, these endings are made up of two parts: a thematic vowel and a personal ending. The only difference between the two lists, other than the change of thematic vowel, is that the second aorist adds a ν to the first person singular. The true distinguishing feature of the second aorist is the use of the second aorist stem (see above). Occasionally the α of the first aorist is used as the thematic vowel even for a verb that uses a second aorist stem, but this is relatively rare, and if you have learned the difference between the present and aorist stems, it will not interfere with your ability to recognize the aorist form. Note that for verbs that use second aorist forms, the first person singular and the third person plural endings are the same. Context must be used to decide between the two. Observe the forms of the verbs ἀποθνήσκω, λαμβάνω, ἔρχομαι, εὑρίσκω, and γινώσκω as examples of second aorist active indicative forms. Because the aorist stem of γινώσκω (-γνω-) ends in the long vowel ω, the thematic vowel of the singular endings is lost through contraction: ἔγνω + ον = ἔγνων, ἔγνω + ες = ἔγνως, and ἔγνω + ε = ἔγνω. Notice that the plural forms of the aorist active indicative of γινώσκω use a second aorist stem, but first aorist endings. Look at the chart above again and study the forms of γινώσκω. This verb appears 222 times in the New Testament alone, and many hundreds of times in other Hellenistic Greek literature. It is well worth your time to master it now. Take this practice quiz to practice your recognition of the forms you have just studied. As you study this list, compare the present and aorist forms of each verb. Don't try to memorize the entire list yet. Just study it, then complete the Reading and Translation exercise below. Then review this list and take the vocabulary quiz. Verbs indented from the left are compound verbs. They are grouped under the simple verb on which they are based. Notice that ἀφίημι is a mi conjugation verb like δίδωμι and τίθημι. It is a combination of the preposition ἀπό and the verb ἴημι. The second aorist (irregular) form is produced by adding a κ to the end of the stem, and replacing the present tense ending (-μι) with the aorist tense ending. The augment replaces ο on ἀπό and contracts with the stem vowel (hence the circumflex accent) to yield the form ἀφῆκα. The plural endings of ἔγνων resemble those of the first aorist. See the paradigm (list of forms) above. The aorist stem for ἔγνων is -γνω-. The augment is added to produce ἔγνω—. When the second aorist active indicative first singular ending (–ον) is added (ἔγνω + ον), the ω from the stem and the ο from the ending contract to produce simply ω. Since the accent is not on either of these contracting vowels before the contraction, it does not change to circumflex: ἔγνων. Notice that the ending of the present tense form, ἔρχομαι is different from any you have studied so far. Do not let this worry you. You will learn this ending later. In Hellenistic Greek ἤλθον sometimes appears with an alpha (α) as its thematic vowel (as in the first aorist endings). Its first singular aorist active indicative form is sometimes ἤλθα rather than ἤλθον. The second aorist stem is ἔλθ-. The lexical form to look under in most dictionaries is ἔρχομαι. The stem is φαγ- (not used in Greek outside of the aorist tense). The lexical form to look under in most dictionaries is ἐσθίω. Verbs that begin with εὐ- do not add an augment for the aorist or imperfect tenses. Notice that ἠθέλησα uses first aorist endings. It is still unusual in the way it forms its aorist, though. The augment is ἠ rather than ἐ, and there is an additional η before the first aorist σ (ἠθέλησα). Thinking of the aorist stem as ἐθέλε- will help you remember this unusual spelling. Note that the aorist stem of the compound verb καταβαίνω is κατα•βα-. The augment (ε) replaces the final α of the preposition κατά. When the first singular second aorist ending (ον) is added (κατέβα + ον), the final stem vowel (α) contracts with the ο to produce -ηv. In Hellenistic Greek the second aorist stem of λέγω (εἶπ-) occasionally occurs with first aorist endings (εἶπα). The stem, εἶπ- is not used in Greek outside of the aorist. The lexical form to look under in most dictionaries is λἐγω. In Hellenistic Greek the second aorist stem of ὁράω (εἶδ-) sometimes occurs with first aorist endings (εἶδα). The stem εἶδ- is not used in Greek outside of the aorist. The lexical form to look under in most dictionaries is ὁράω. Notice that the aorist of ποιέω (ἐποίησα) is first aorist, not second. 1. εἰσῆλθεν = εἰς + ἤλθεν. Ἤλθεν is the 3rd singular aorist active indicative of what verb? If you can't remember, go back to the vocabulary list and find the aorist form ἤλθον, then look at its present tense form. He ate. . . the pieces of bread. While the form ἡμέρας may be either genitive singular or accusative plural, in this context it can only function in one of these two ways. 5. Luke’s Gospel says that when Jesus was twelve years old, his parents took him to the temple. When they left, he stayed behind. When they realized he was missing, they began to look for him. Translate the following comment from Luke about what happened. How can we tell that ἡμέρας is accusative and not genitive in the previous sentence? Notice that double negatives are perfectly acceptable in Greek. 8. The following statement is from the same passage in Luke 4. 11. In the sentence below, translate ἅ as "some." It refers to "some seed" in the parable of the sower. Others. . . fell on good ground. The little word δέ can be translated as "and" or "but." It is postpositive. That is, it never comes first in a phrase. In English, though, the words "and" and "but" often have to come first in the phrase in which they appear. When you translate a phrase that contains δέ, the order of the words in your English translation must not be the same as the Greek word order. Now take the vocabulary practice quiz to see how well you have learned the vocabulary for this lesson.